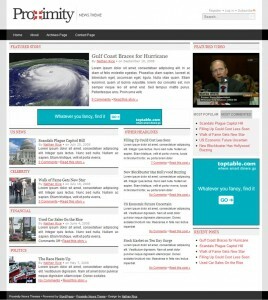 Developed by Nathan Rice Proximity News Theme is one of the major players in the news theme market. But is it actually any good? 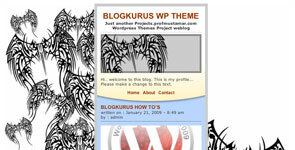 Well for a start the entire CMS for this wp theme has been built to prevent you from ever having to alter any code or styles during customization. Everything is configurable through your admin interface. If you are not sure how to use any of these options then Proximity comes with full support forums, tutorials and training videos. If you have never used a CMS (content management system) site before then this level of support is invaluable, a factor you should take into consideration when choosing which news theme is right for your publication. The front end of this website is just as impressive, with broadsheet style and keeping the illusion of being minimal while actually providing your reader with a lot of options. We were very impressed with the author archives which allows readers to see all the articles published by a particular author including a small biography and gravatar. All this information is pulled in from the users (authors) options in the admin! 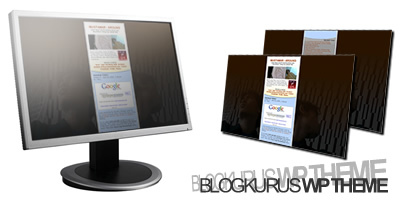 We also really liked the featured video system, but it is not obvious if this can be included with each article. 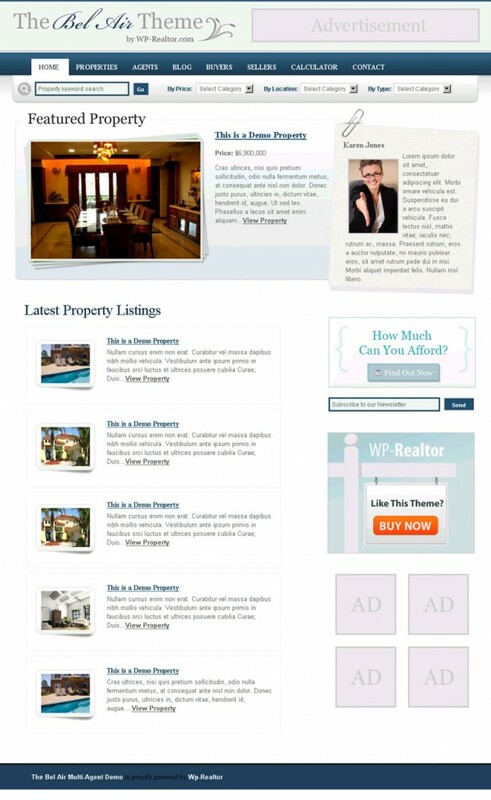 The theme also has the ability to prevent duplicate content on the front page using what the developer has dubbed “Smart” home page technology. This is a very important feature as normally a number of plugins have to be configured to stop this happening. Publishing with this theme could not be easier, all image handling is controlled through your admin, including cropping and uploading. No more hours of photoshop and ftp usage before you can get your article out. Writing could not be easier either, if your authors can use microsoft word then they can use this system with no additional training. When a reader clicks through to a stories page they get social bookmarking options (Digg, Stumble Upon, Facebook etc) and they also get a print button. This has been specially developed so that the story will be printer friendly and print perfectly, printing is usually an overlooked problem with news websites. Navigation could not be easier with the inclusion of breadcrumb navigation, intelligent links within stories and archive pages, not to mention drop down menus and advanced sidebar features like most popular, most commented and recent posts. The overall look of the theme could do with some improvements though, it is always difficult to tell when looking at a demo website exactly how it will look until your branding is applied. If the developers boasts are true though any problems with aesthetics should be very easy to ammend. 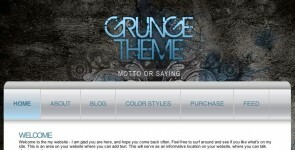 If this is the case then we cannot recommend this theme enough if you are serious about online publishing. 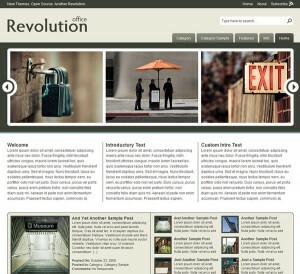 Revolution Office comes from the creme de la creme of site designers Jason Schuller (of Revolution Two). 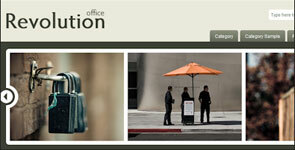 Although this design is called ‘Office’ its use is pretty universal and is suitable for almost anyone. With Web 2.0 looks and beautifully crafted composition we cannot stress enough just how nice this site is, please go to the homepage and check out the demo to see for yourself. 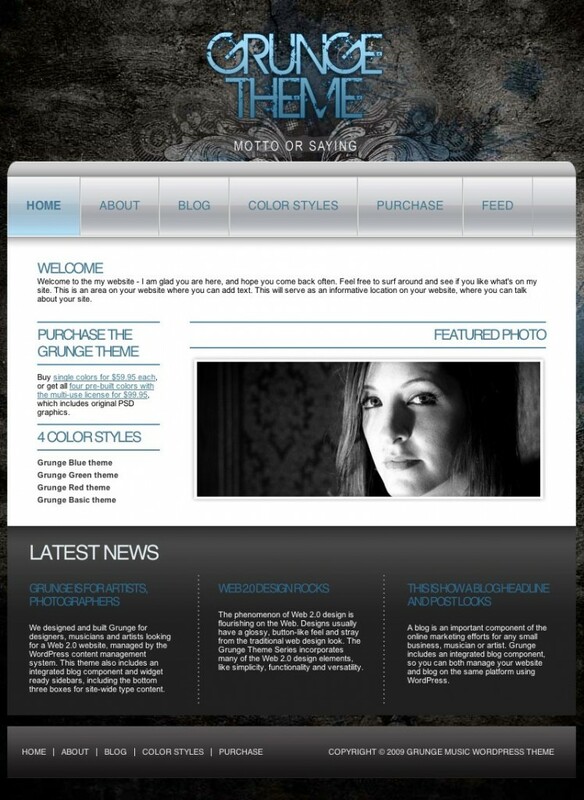 Available as a WordPress theme only however Revolution WordPress themes are becoming very well known for supreme quality and an amazing level of after care support. Buts that enough about Revolution (as you can probably tell their a bit of a favorite of ours) lets check out Office theme and see if its any good! Office is a pretty minimal site which means your visitors arn’t going to have any trouble finding their way around and getting to the information they need quickly. The homepage has an impressive image slider (please try this out in the demo it has such a cool smooth sliding action!!) 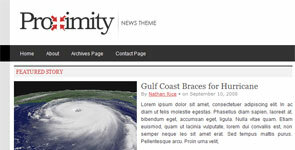 with a link from the images to the appropriate page or featured article. The slider could be used in so many ways, it could be turned into a very dynamic looking menu or a showcase for photography or any products you are selling or reviewing, your imagination is pretty much the limit with this one. 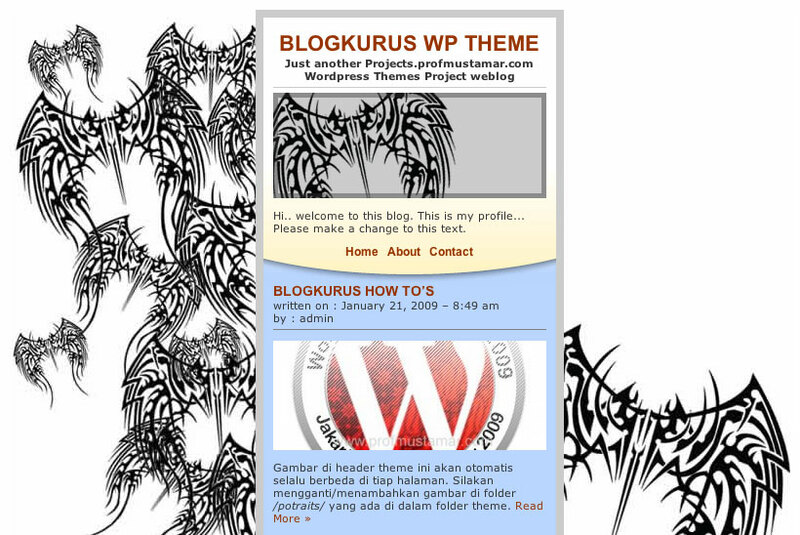 If you do go for this theme please post links and show off your sites below, we would love to see how you have developed this! When you do a search or click on catagories / featured content you are presented with a very nicely layed out page with thumbnails of each item with a text excerpt, rather than just a huge page to scroll down containing all the related articles, or worse a horrible built in google type search results page. The articles or pages themselves are simple and effective, with a two column look, lots of room for your content and a content details section at the side. This allows visitors to see which sections of your site the article comes from for easy backtracking, and an RSS 2.0 feed. Here’s our only gripe with the design of office, below the content details is a recent content section showing the titles of all the latest storys or pages. This would be so much more effective as a related content section, this way if a visitor has not found exactly what they wanted then its easy for them to quickly get back on track. So as you have probably guessed we love this design and cannot recommend it enough. Now here’s the important choice you have to make if you want this site! Themes from Revolution Two are availible as free downloads directly from their site however, the free versions arn’t exactly easy to find and come with no support what so ever!! Not even an instructions.txt in the zip file! 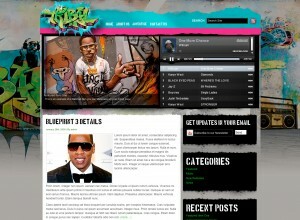 Worst of all its not always the most upto date version of the site. Speaking from experience this can be a very frustrating and time wasting way of trying to get their sites up and running quicly even for an expert. Googling dosen’t help either as their support forums are closely guarded and locked to anyone who hasn’t brought their support package. Although slightly pricey their support is unlimited across all their themes and very very quick so even a newbie can get the site up and running in a matter of hours. They even offer customization techniques and tutorials and all questions answered by experts. Their standard membership package only lasts a year however if you want lifetime option then there is a Revolution Pro Plus Membership available for not much more than the standard price! Quite frankly its the option we have gone for and haven’t (yet) regretted it! However if you carn’t afford it, or have a lot (months!) of time on your hands then plug for the free option. Don’t forget to post and show off your versions of this site below!